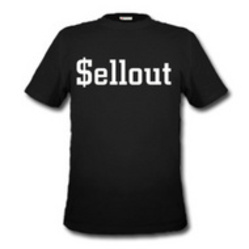 Local Rhythms – What’s Not For Sale? With all the Chevrolets and Cadillacs in his songs, Bruce Springsteen probably sold a lot of Detroit steel over his career. What if it turned out GM paid him for all that product placement? Is it an accident that the working girl in Tina Turner’s “Private Dancer” takes American Express? Did Mark Knopfler write the song on commission? Recent news reports have me wondering. It turns out there’s a PR firm, called the Kluger Agency, solely devoted to getting brand names into pop music. That’s an actual quote – I guess spelling and grammar isn’t their forte. A visit to their web site shows a company that looks to be doing quite well at selling out art for commerce. Puff Daddy, Ludacris and Kid Rock are featured prominently, hawking Mercedes Benz, Cadillac and Beck’s Beer, respectively. Though I’m curious how a company founded in 2006 takes credit for “Cowboy,” a song Kid Rock recorded in 1998. In a world where John McCain invented the Blackberry, I suppose anything’s possible. There’s one big problem, however. Double Happiness doesn’t make jeans. It’s an art project – a virtual sweatshop in an online gaming world, to be precise. Created by a guy named Jeff Crouse as part of something called the “Anti-Advertising Agency” – probably not the best product placement partner. He posted their exchange on the AAA blog, and within an Internet nanosecond, the modern day “Mad Men” of Kluger were heaped with global snark. Like the song said, it’s hard out there for a pimp, but I had no idea it was this bad. 20 years ago, I died a little the first time John Lennon’s “Revolution” was used to sell Nikes. You say you want a revolution? Don’t change the world – brand it. Makes me want to crawl into a Posturepedic® bed and pull the covers over my head. Thursday: An Evening of Jazz, New England College – A benefit for Uptown, the New Orleans-based musical theatre company founded by trombonist Delfeayo Marsalis, who also performs. 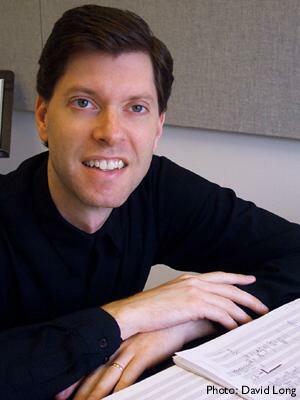 The show also features the Dave Tonkin Group, and the Kearsarge Regional High School Jazz Ensemble. Uptown provides musical theatre training for young adults, offering original performances focused on community unity. Friday: Bradford Bog People, Sophie & Zeke’s – I loved “Cold Mountain” for the music, and this duo – Woody and Beth Pringle of Bradford, New Hampshire – faithfully re-create the Civil War sound curated by T-Bone Burnett in that movie. If we ever run out of oil, and the electrical grid goes dead, there will always be fiddles, banjos and Appalachian music. Small comfort, I know, but take what you can. Saturday: Vermont Life Wine & Harvest Festival – The weekend long festival begins Friday with a bluegrass BBQ featuring the Stockwell Brothers and continues today with a farmers breakfast. The Mount Snow event’s entertainment also includes the Vermont Symphony Orchestra Brass Trio “Fanfare,” along with the Will Patton Trio, performing Gypsy music, Brasilian choros and Appalachian waltzes. Sunday: Sugarland, US Cellular Meadowbrook Pavilion – This show’s practically sold out – only a few lawn seats remain. But if the weather cooperates, I can’t think of a better place to be today than Meadowbrook, to my mind the finest outdoor music venue in New England. Sugarland is among the hottest bands in American, with multiple CMA nominations and a number one album in the charts. Monday: Northern Harmony, Norwich Congregational Church – This “shifting collaboration of accomplished singers and instrumentalists, based in Vermont,” as their web site describes them, perform everything from shape note to “Stormy Weather”. Seriously, their take on the Depression-era chestnut sounds like the Mamas and Papas. Yet, Northern Harmony appears mostly in churches, including an upcoming tour of the UK, France, Italy and Switzerland. Tuesday: Cesaria Evora, Lebanon Opera House – An ambassador of Cape Verdeen culture, this singer has been called the “one of the world’s masters of happy-sad music.” Funny, I thought Matt Nathanson ruled in that department. Seriously, the “Barefoot Diva” has won a Grammy (best World Music Album, 2003), and performs over 150 concerts a year of moma and coladera music. This week’s eclectic pick. 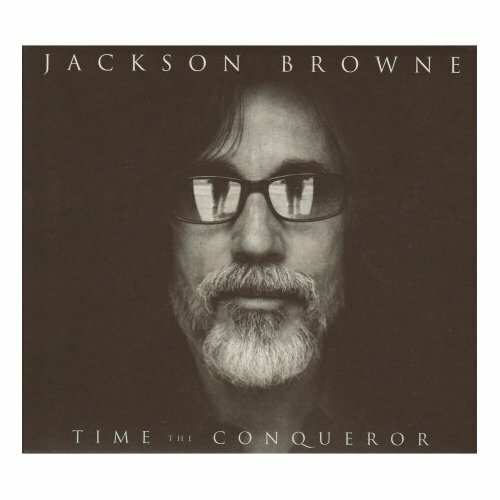 Wearing sunglasses and sporting a grey beard, Jackson Browne stares out like a soft rock Unabomber from the cover of his new album, “Time The Conqueror.” The name perhaps refers to the toll on his mind and body over 60 years. But given the often too-literal content of “Time the Conqueror,” and his penchant for double meaning, it could also mean that age has compelled Browne to vanquish all urges to conceal his strong opinions, or for that matter, adorn them in any way. “Seems like the whole world’s at a fire sale,” he muses – and that’s during one of the happier songs on the record. Browne is no stranger to mixing politics and music, but “Lives In The Balance” and “World in Motion,” his two most pointed albums prior to “Time the Conqueror,” were at least a little poetic, and punctuated with a few love songs. This time around, he’s seething – and naming names. “Where were you in the social order? It’s all there – the horror in the Superdome, failed attempts to move from the convention center to higher ground, “the newborn and the elderly exposed to even more misery” and National Guard soldiers arriving five days late. “Mainly they were used to keep the looting down,” laments Browne. The song works, however, because it’s more than just a list of accusations. After a snarling reminder of President’s Bush fly-by photo op (“shaved face, rested eyes, looking down he circles twice/on his way home from his vacation”), Browne turns the camera around. It’s hard to believe that the same person who wrote “Late For the Sky” would include a line like “they make such continuous use of the verb ‘to resolve’” in a song, but there it is. “Just Say Yeah” is a more typical Jackson Browne love song, with lines like “it’s hard to tell where the relating leaves off and where love begins,” but it’s a small oasis in an otherwise hard and strident effort. Though it will no doubt speak well to fellow travelers, it’s doubtful that “Time The Conqueror” will win Jackson Browne many new fans. Maybe time conquered his need for those as well.